The recently appointed MD of Cannes Lions in an exclusive chat with Campaign India. The 2017 edition of the Cannes Lions will be the most ‘diverse’ ever says the festival’s managing director, Jose Papa. The calls for diversity in agencies and adland have been on the rise, and Papa claims the Cannes Lions has prioritized the issue and has been working on this for quite some time now. Airbnb's chief marketing officer, Jonathan Mildenhall, who is jury president of the Creative Effectiveness category, had posted a series of tweets on the lack of diversity at the Cannes Lions 2017 jury president line-up, calling for more "dark-skinned" jurors. Responding to that Papa said, "We have diverse jurors. The primary objective has obviously been to identify talent. We see anyone in the world as talent. Their origin makes no difference whatsoever. We need to find the right groups of talent in the world. I challenge any festival to be as diverse as ours. We are being diverse, but keeping the sanctity of the Lions in place. This year we have the largest female representation among the jury. This is for both the presidents and the rest of the jury." Explaining the process the Lions took, he says, "This is a journey that began many years ago. It began with us redefining ourselves as a center stage of creativity. Creativity touches more than just advertising. [The redefining] was done in anticipation many years ago as we expected technology to impact creativity. We have addressed and responded to this movement." He adds, "We broadened by launching festivals within the festival with the Health Lions, Innovation Lions and the most recent one being the Entertainment Lions. Each one sets the tone about why we should be a catalyst for the vision of the future. This is a defining place for the market place. It showed we have our lenses much more towards the future." With respect to geography, Papa claims that the festival’s "strong representative network" is helping them engage with a diverse group of people. He says, "We have primary territories which consist of UK, USA, Brazil, India and China among others. We obviously want to reach out to more participants from farther territories. That is one of the primary challenges we have. The more we engage with diverse groups, the more relevant the festival becomes. Cannes is progressively evolving, and the value one gets out of it is huge." India sent in 1,315 entries last year. Without disclosing the number of Indians at the festival, Papa believes that the country can potentially be in the top five in terms of number of delegates at the festival. 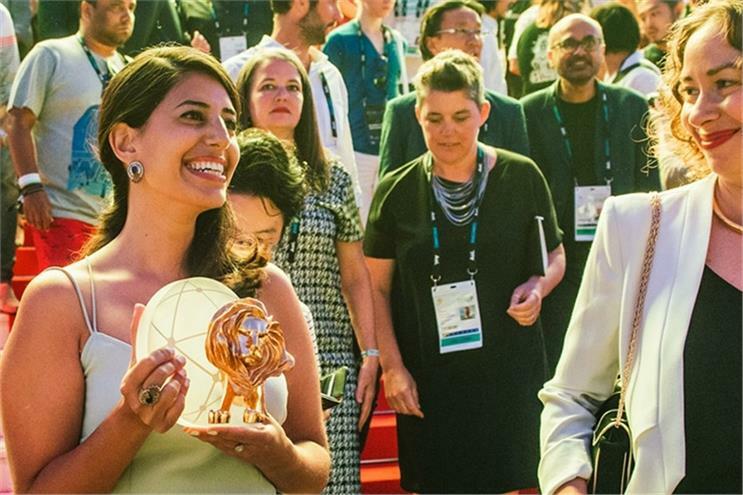 Currently, the biggest markets for the Cannes Lions are the US, UK, Brazil, Germany, France and Japan. He says, "When it comes to India, since there’s a start-up community creating a buzz right now. India can be huge on the Innovations (Lions) bit." Papa points to the Lions’ "China Day," which was first launched in 2013 and further pushes its diversity. "We are obviously looking to attract different groups from different countries. For China Day, we may not really need Chinese speakers. The Chinese attendees will want diversity themselves and they will get that delivered at the festival. That kind of diversity is what makes Cannes unique." Airbnb's Mildenhall: Where are all the dark-skinned jurors at Cannes?